PORTAGE PARK — Retro Fitness opened its 20,000-square-foot location at 4901 W. Irving Park Road for free tours on Thursday, marking a "soft opening" for the neighborhood's newest gym. The facility spans the basement and second floor of a long-vacant bank building in the Six Corners Shopping District, anchoring a $16 million redevelopment that promises to include a Culver's and a 300-seat theater. Interior renovations are also underway for a Binny's Beverage Depot, which will sit between the gym's two levels on the building's first floor. The gym is the first Retro Fitness location to open in Chicago, offering a smoothie bar, tanning beds and child care — as well as a "cardio theater" where visitors can watch movies on a big screen while working out. 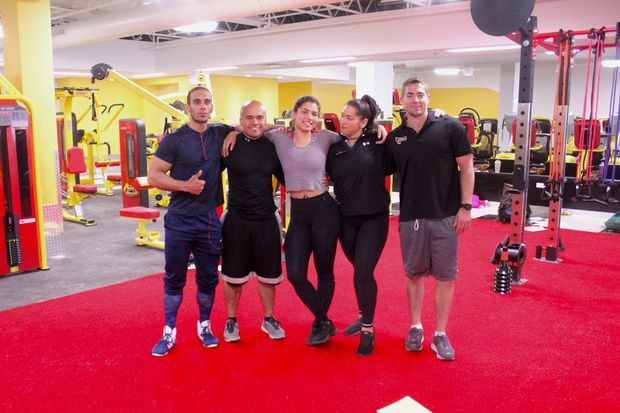 As of Wednesday, more than 1,000 people had already signed up for one of the gym's five membership plans, which start around $20 per month, according to Aida Sinka, the gym's manager. Retro Fitness will be open from 4 a.m.-midnight weekdays 5 a.m.-10 p.m. Saturdays and 6 a.m.-8 p.m. Sundays. While the gym was still not quite ready for members this week — it's still waiting on "a few final deliveries," Sinka said — staffers will be on-hand to give visitors impromptu tours of the facility every day. The theater idea originally came from the owner of the chain noticing that some members preferred to work out in a dimly lit area of his clubs on the East Coast. Now, some club members say watching films can distract them from the workouts, making the effort seem shorter.